By Caroline Vitta, Community Worker with Young People and Anke Thurm, Community Development Worker in Moulsecoomb, Bates Estate & Bevendean. 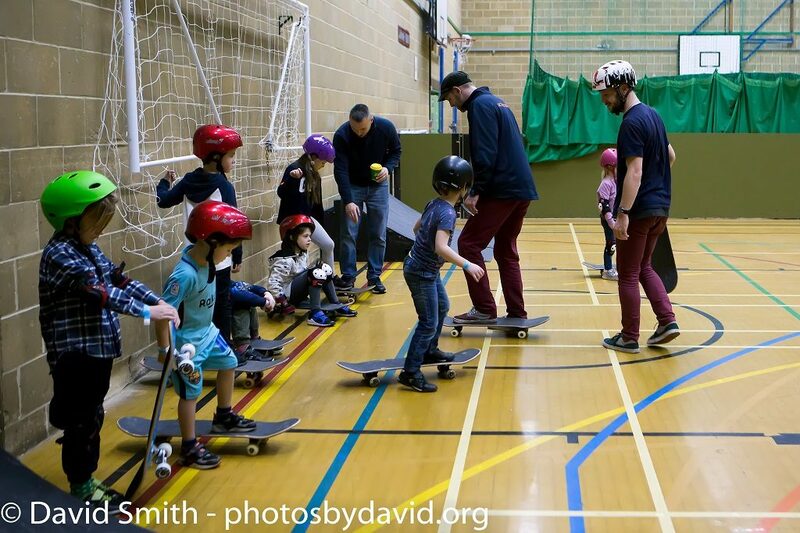 On Saturday 26th January the Moulsecoomb Skatepark group, TDC and the BHCC Skatepark Development Team partnered up to run a SkateJam at Moulsecoomb Leisure Centre. The skate team brought several ramps over from their mobile skate park and set them up in the hall at the Leisure Centre. 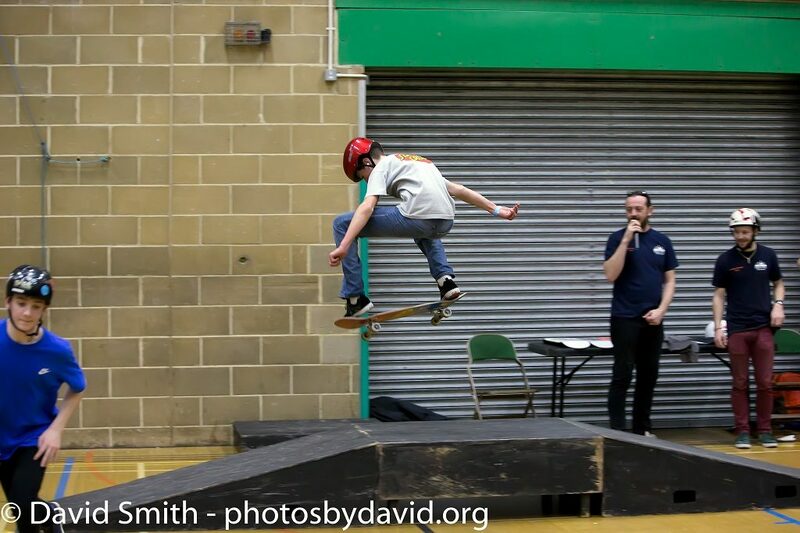 The event was organised as part of the ongoing consultation in Moulsecoomb – a campaign which has been running for the past year and which aims to have a skate park established in Moulsecoomb. 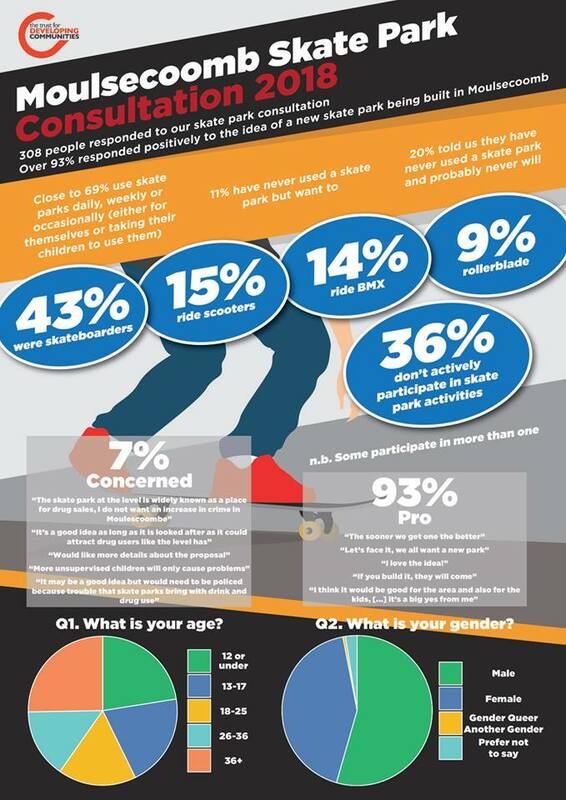 The group, supported by Anke and Caroline from TDC, has been busy asking parents and young people in Moulsecoomb about their thoughts on having a skate park in the area. 308 people responded, with an overwhelming 93% in favour of a skate park in Moulsecoomb. See the poster below for a summary of findings. 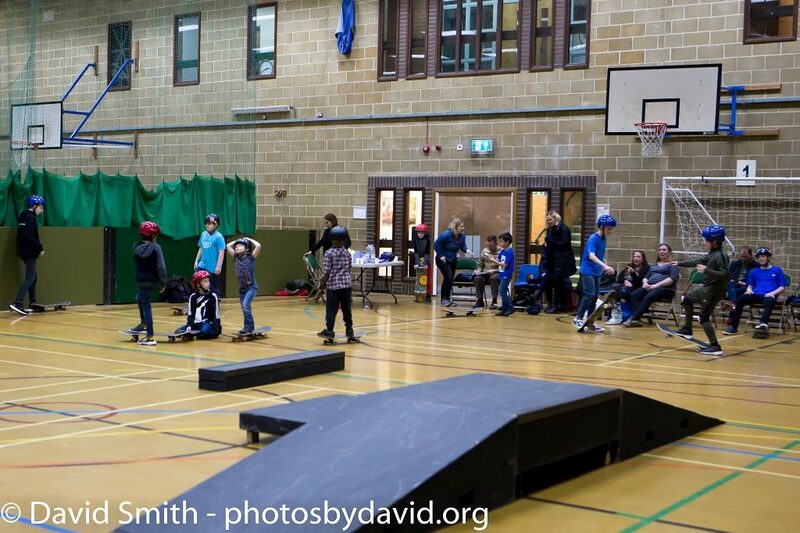 The SkateJam event was much more popular than the group had anticipated, with support coming not only from local families in Moulsecoomb & Bevendean but also from people travelling from as far as Hove to take part. Within the first hour, 20 young people had registered and by the end of the afternoon 33 young people aged between 5 and 18 years had taken part. The first two hours of the afternoon were continually busy with experienced skateboarders practicing their tricks and beginners having their first lessons and learning the basics from the skate team. The final hour saw the actual SkateJam itself take place – a chance for everyone to show off their skating skills, use of ramps and tricks. The skate team had a fantastic bundle of prizes for the skaters to win including skateboards, shoes, hats and tops and everyone, regardless of experience or ability, had a lot of fun participating in the competitions. In the meantime, skating lessons for young people are available at the Brighton Youth Centre indoor skatepark. With many thanks to photos by David for use of the images in this post.